Up until very recently, creating a Windows Service was the domain of the .Net Framework. However, since the release of the Windows Compatibility Pack that has all changed. 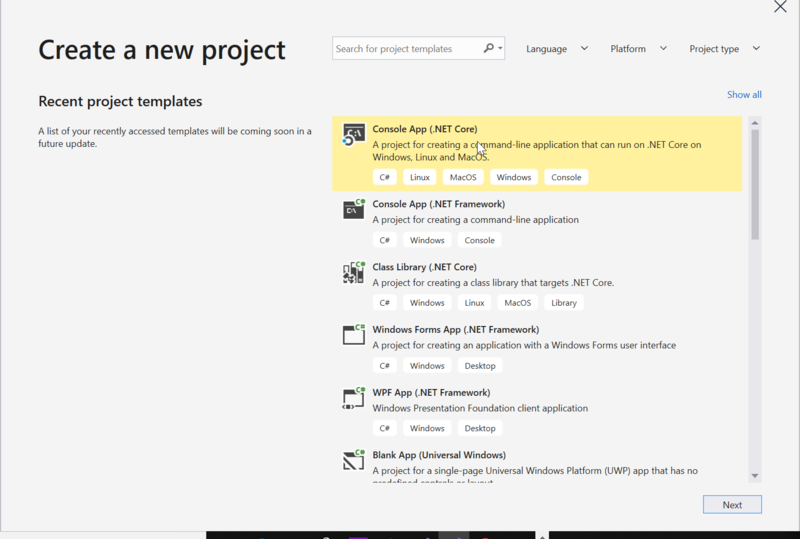 In this article, we’ll create a .Net Core Windows Service from scratch. 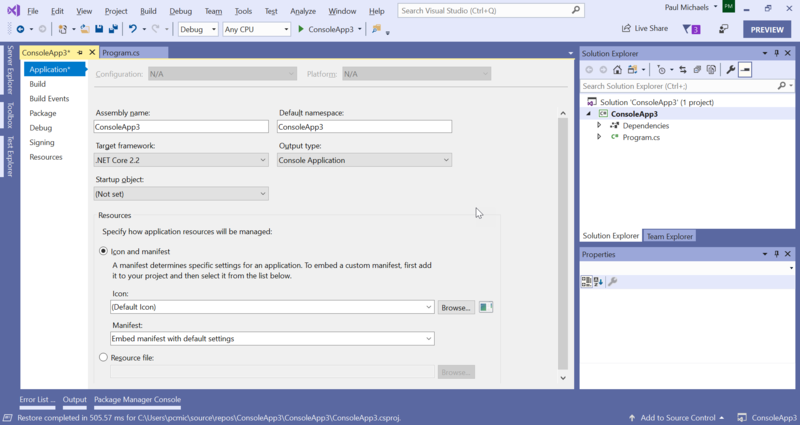 I’m using the preview version of Visual Studio 2019 for this post. As far as I’m aware, there is absolutely no functional difference between this and VS2017; however, the initial New Project screen does look a little different. Not exactly a complicated service, I’ll grant you. Or locate it in the services utility and start it from there. You should now be able to start and stop the service and see it logging the events as you do so. This entry was posted in .Net Core, .Net Framework, Windows Service and tagged .Net Core, .Net Core 2.2, ServiceBase, Windows Compatibility Pack, Windows Service on January 8, 2019 by pcmichaels.